There is a lot of confusion about pass-through entities. 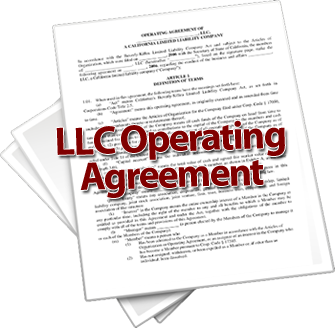 I have people all the time tell me that one of the advantages of an LLC is that it is a pass-through entity. 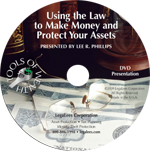 The confusion comes because people don’t separate the legal aspects of an entity with the tax aspects. The legal structure of an entity is totally independent from the tax structure of the entity. “Pass-through” is a slang tax term. It means that the profit and loss of the entity “passes through” and is taxed at the ownership level rather than the entity level. The entity itself is not a tax paying entity. The owners of the entity pay the tax on profits in the entity. Basically, any entity can be created as a pass-through entity. Corporations become pass-through entities when the Subchapter S tax election is made with the IRS. Of course, if an election is made to be taxed under Chapter C of the IRS Code, then the corporation is not a pass-through entity, and it becomes its own taxing entity. The C Corporation files a tax return and pays the tax on its profits directly to the IRS. Note that the legal structure of the corporation is identical whether it is taxed under Subchapter S or Chapter C of the IRS Code. The corporation has to follow all the same formality rules and all of the other issues related to a corporation no matter what its tax structure is. An LLC can pick a tax structure, just like a corporation. However, an LLC has more IRS taxing options than a corporation. If the LLC chooses to be taxed under Chapter C of the IRS Code, then it is obviously not a pass-through entity. If it chooses to be taxed under Subchapter S, then it is a pass-through entity. The LLC could also choose to be taxed under the partnership taxation rules (if there is more than one owner) or the disregarded entity rules (if there is only one owner). Under the Subchapter S or partnership tax rules, the entity is a pass-through entity. The company issues a K1 tax form telling each owner what their share of the profit or loss is, and the individual owner takes that profit or loss into their tax calculations to pay their taxes.